Worldwide icon-chevron-right North America icon-chevron-right United States icon-chevron-right California icon-chevron-right San Francisco icon-chevron-right Anchor Distilling Co. 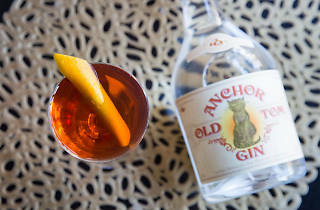 Photograph: Courtesy Anchor Distilling Co.
A rooftop distillery tasting room with a spectacular view. 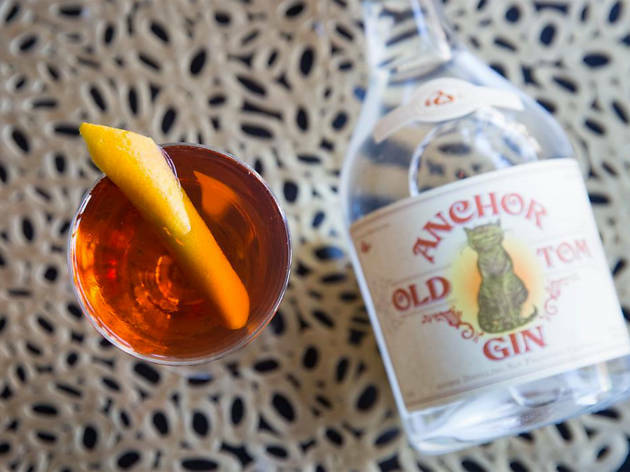 Anchor Distilling’s intimate, light strung roof terrace is one of the best kept secrets in the city. From the outside, the unassuming brick building is nondescript. Book a tasting (or a private event) to make it to the top. Check in at the front desk, climb several sets of winding stairs, bypass the giant copper stills, and will emerge onto the idyllic indoor-outdoor roof bar. The adjacent garden terrace is fragrant with edible (and drinkable) plants, including various herbs, fruit and citrus trees, rose geranium, and berries. The guided tasting includes generous pours of the hometown distillery’s six varieties of whiskey, gin, and vodka. Soak up sunset views over FiDi and the Bay.